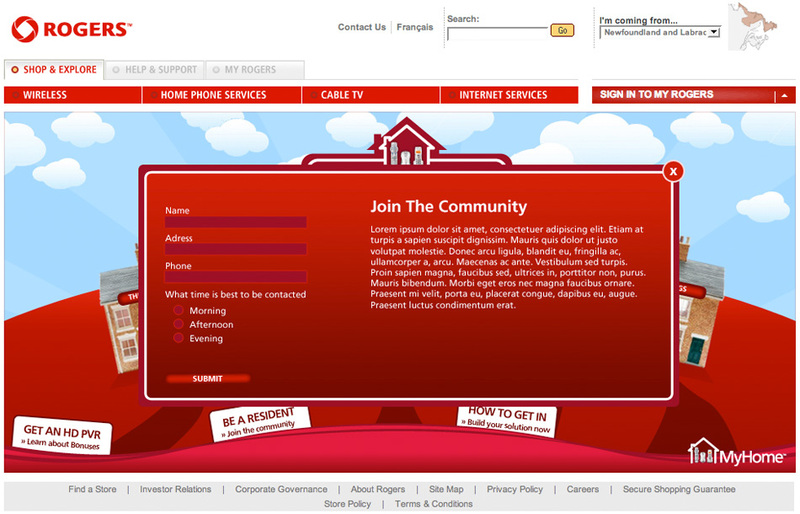 Rogers new multi-product offering “MyHome Advantage” was not gaining new subscriptions as anticipated. We were tasked with coming up with a campaign that would highlight the bonuses a consumer gets just by subscribing. 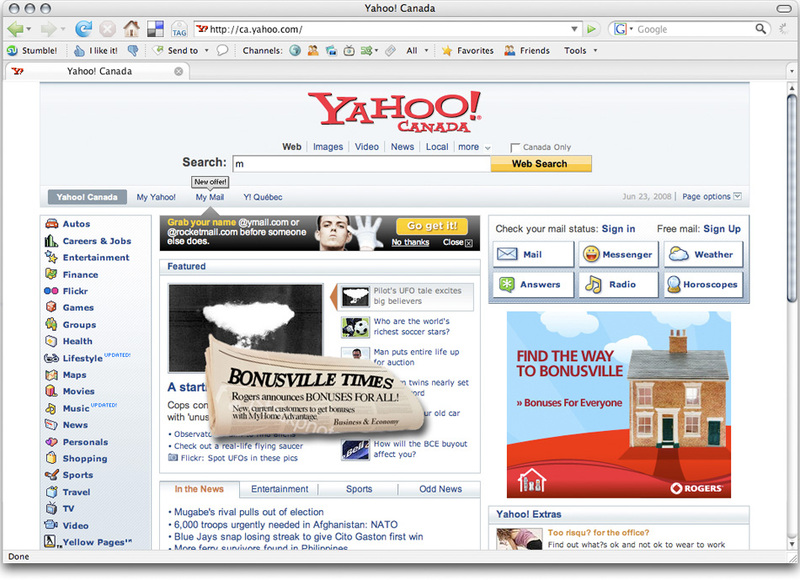 BONUSVILE was the online destination for the campaign, where each resident could tell a different story of My Home Advantage, and how it put them in Bonusville. 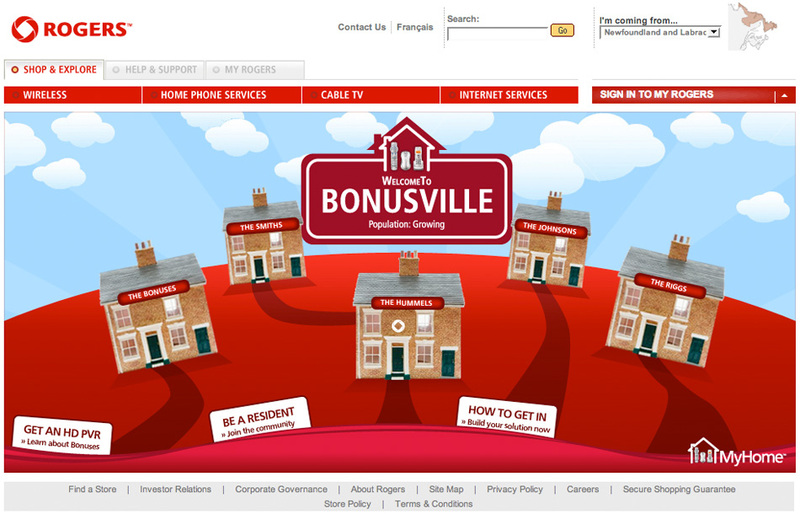 The term BONUSVILE became simple language used to describe what happens when a consumer subscribed to My Home Advantage.